For those of you that has never read a Charlie Parker is it good to know that this is book 14 in the series and I would advise not to read this book without at least have read the previous book or at least some book before. The journey Charlie Parker is on; his personal crusade is much easier to understand if you have read the books before this one. He is a man haunted, by the death of his wife and child, killed several years ago by a serial killer. However, his dead daughter is still with him, and she also has a connection with his new daughter. His friends are dangerous but loyal and Parker is fighting a battle against the darkness. And in this book is it the Dead King he is going after. And doing so is he going against the Cut community. 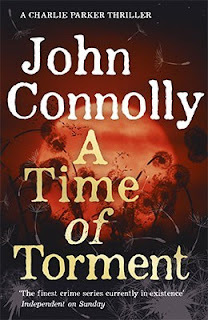 John Connolly writes in such a way that makes me slow down my reading, I don't want to hurry the story. This is not a book that I feel should be rushed. Connolly's command of the languages is utterly perfect! There are few authors in my experience that can write like Connolly do, to utterly capture the reader's attention and keep it until the end. Clean Sweep ARC Challenge May 2016 End Result! The 5 best books read in April! Clean Sweep ARC Challenge Update! NetGalley Readathon Sunday Recap & Conclusion!